How To Get Organized To Work At Home - Home Organize It! How to get organized to work at home. Are you a Work At Home Mom (WAHM) who needs to get her home and home office more organized? Get Organized To Work At Home is a helpful guide to creating the right work space and finding time to build your business. The WAHM Guide, where we discuss the pros and cons of working online, AND share the secret to our online success! WAHM Case Studies shares the stories of 11 moms from around the world, who raise their children AND earn an income from working online. Every story is inspirational! These three resources are bundled in a FREE downloadable package. And because it's complimentary, there's really no reason not to check it out! 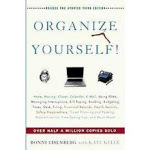 I know you'll walk away after reading it ready to get more organized for working at home!